When will be Fridays next episode air date? Is Fridays renewed or cancelled? Where to countdown Fridays air dates? Is Fridays worth watching? 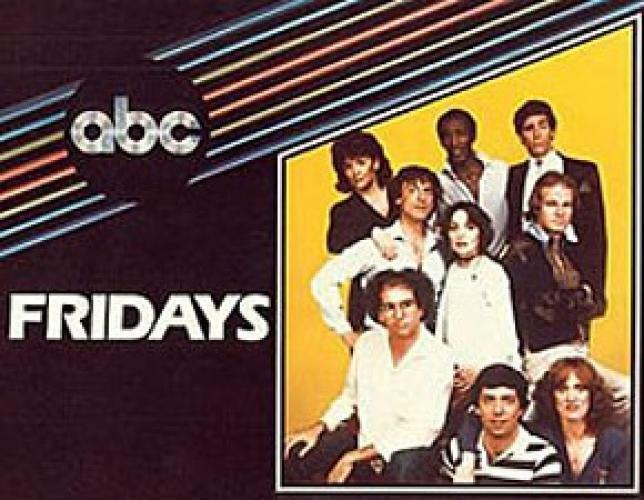 Fridays was the ABC's weekly late-night live comedy show version of Saturday Night Live, which aired on Friday nights from 1980 to 1982. The show was originally strangely on for 70 minutes before being expanded to full 90-minute length in its second season. Much like SNL, Fridays also had celebrity hosts, musical guests, and sketches that made fun of pop culture and current events. Unlike SNL, Fridays' sketches were more daring (often depicting drug abuse, physical violence, and more pointed political satire), had better production values, and often were more dramatic than comedic. EpisoDate.com is your TV show guide to Countdown Fridays Episode Air Dates and to stay in touch with Fridays next episode Air Date and your others favorite TV Shows. Add the shows you like to a "Watchlist" and let the site take it from there.